impression that one is hearing the echoes of the finished phrase as the instruments stop playing. 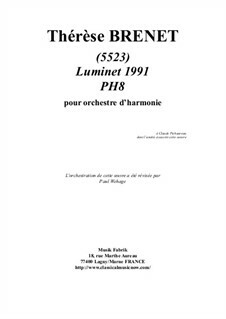 concert band with the full name of his asteroid: 5523 Luminet 1991 PH8. in the form of music, what more could one ask for?" Caisse Claire/Snare Drum = c. cl. in the form of music, what more could one ask for?